Criteo Sponsored Products are native product ads displayed on the sites and apps of the world’s largest retailers. These ads reach the highest intent shoppers in real time, converting interest into more sales. Work for Criteo Sponsored Product for Brands? Learning about Criteo Sponsored Product for Brands? Quality product offerings of high growth potentials serviced by great team. 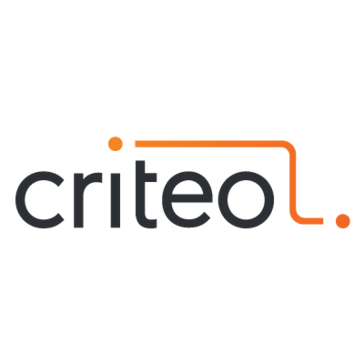 The Criteo team works as our extended team, managing campaign set-up and optimizations, so our partnership with Criteo is definitely a win for our clients in the e-comm space. Also, the Criteo Commerce Marketing Forum is a great annual event to learn the most up-to-date trends in e-commerce for advertisers and agencies. Limited optimizations, data, and insights: keyword level optimizations is currently not possible, and retailer level data and insights are currently not available. Criteo is one of our best partners in e-commerce, and they can surely help grow your clients business. Criteo contributes to sales growth across major retailers while managing our ROI goals for our clients. Their retailer coverage is growing, and our partnership with Criteo can expand exposure and reach of our clients products. "Great additional feature at no extra work"
* We monitor all Criteo Sponsored Product for Brands reviews to prevent fraudulent reviews and keep review quality high. We do not post reviews by company employees or direct competitors. Validated reviews require the user to submit a screenshot of the product containing their user ID, in order to verify a user is an actual user of the product. Hi there! Are you looking to implement a solution like Criteo Sponsored Product for Brands?